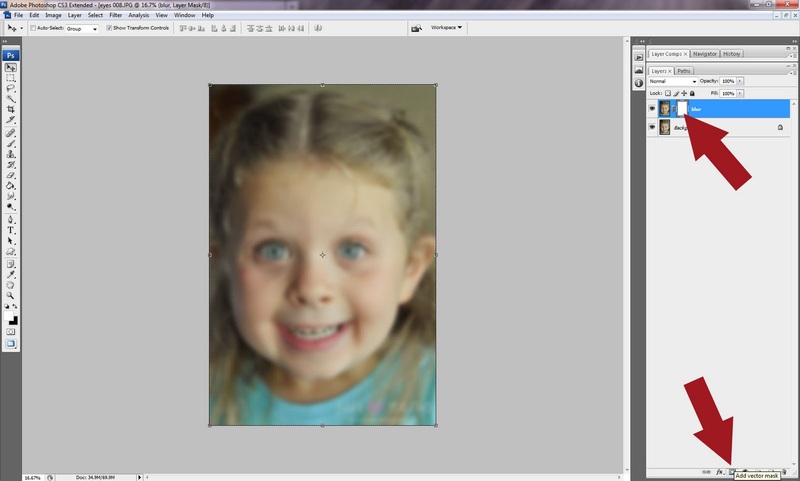 So this technique works really well if you have a photo where someone has shiny spots on their face. Essentially, its kinda like adding virtual foundation. Oh yeahhhhh. 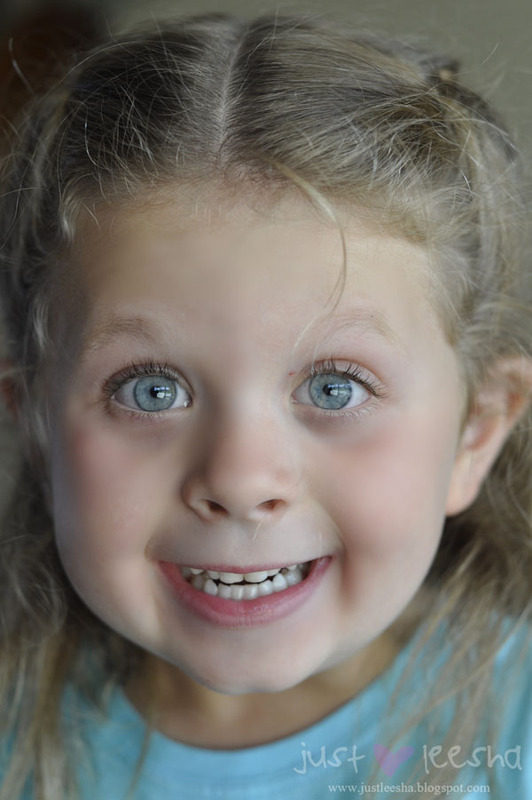 This is just a random goof ball shot of my daughter from the other day. I named my new layer blur, you can name it or leave it. Naming your layers only really becomes handy when you have TONS of layers going on in an image, and this simple trick only takes two! 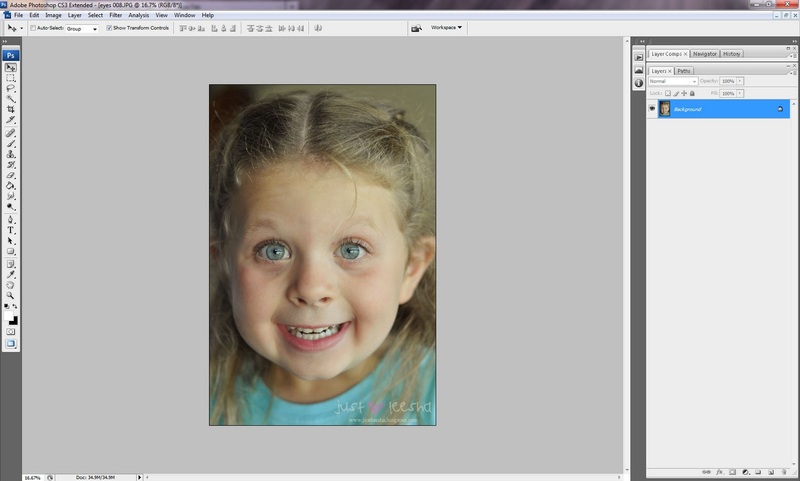 Once duplicated, you need to blur the image to get that soft smooth look. Now your duplicated image is blurry. You can adjust the radius of the blur to suit your needs. I usually leave mine around 20. 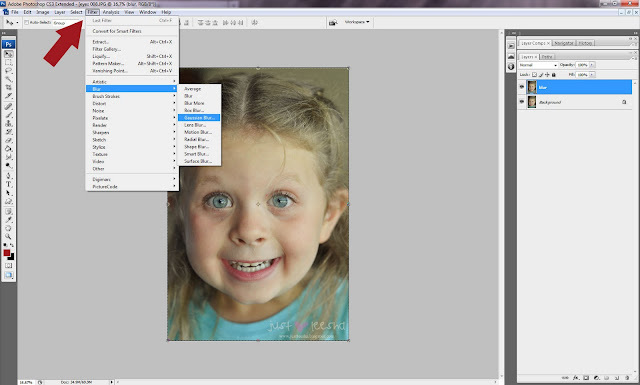 Once you have the radius set, click OK.
Now you need to add a layer mask onto our new blurry image. 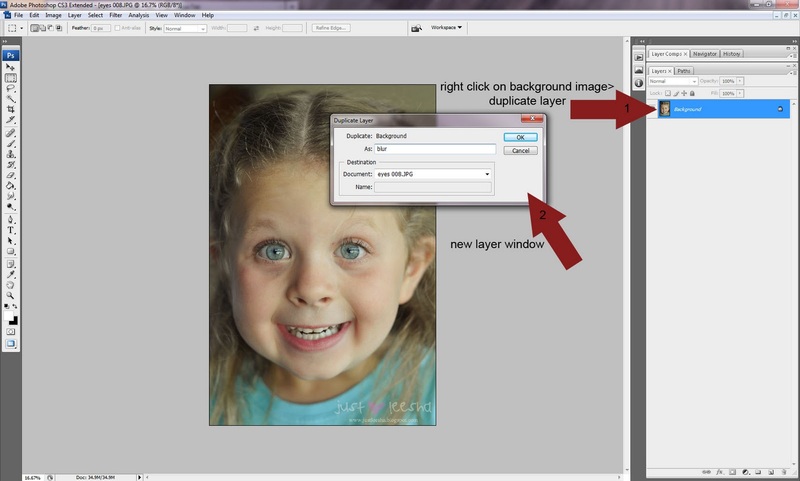 So, after making sure your working on the right layer, click on the bottom of the layers pallet and click>add new layer mask. You will now have a white box next to your blur image. This next step looks crazy cause of all the arrows, but its really simple. 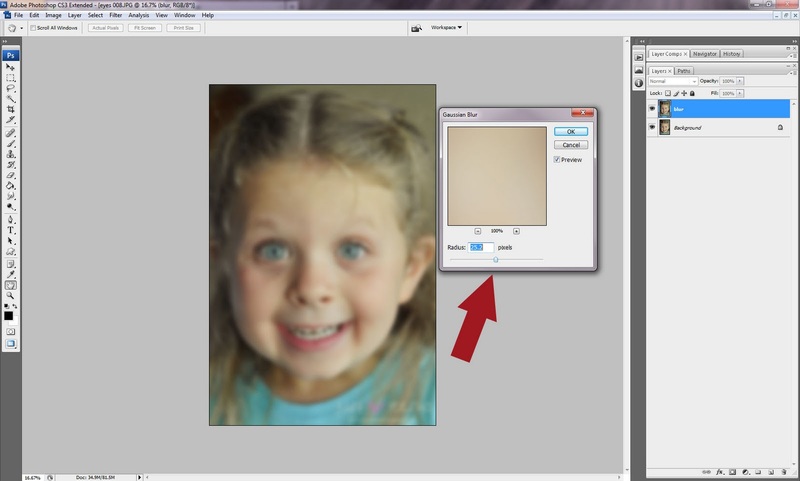 Click on your new white layer mask you just made then click on Paint Bucket on left hand side of screen. If your working color isn’t black in your colors pallet you need to change it. (if you have random colors in your color swatch double click to bring up the color pallet and choose black from there). Now that you have black as your paint bucket color click on your image. Well it would be if that was it, BUT now grab your paint brush, and change your color to white. Taking your new white paint brush, brush over the skin where you are needing that liquid foundation. If the effect is too harsh, you can change the opacity of the paint brush in the option above the photo. Wahoo! She has soft skin!! If the effect is still too much, you can adjust the opacity of the blur image. 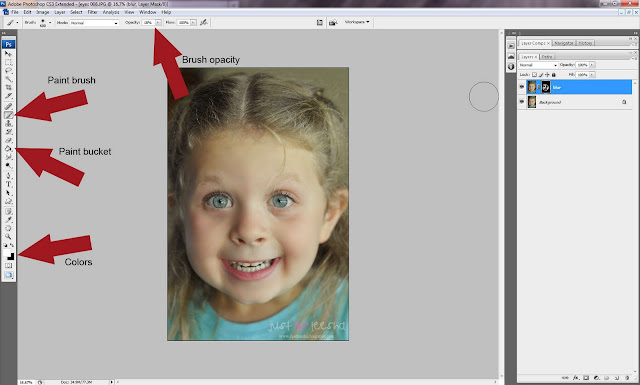 If there are a couple of blemishes on the subject you are working on, use the clone tool first to get rid of them, then apply soft skin. The difference can be pretty amazing!! Make sure to follow via Facebook for up to date tutorials! And be sure to check out more free Photoshop tutorials here. This is really helpful. I’m always looking to improve my photoshop skills, thanks so much! I’m a new follower! I have lightroom right now but really want to get photoshop! I cannot believe the difference in the before and after! Your daughter is beautiful! Hi Leesha, I do this same thing using an inverted high pass filter, but I often wonder if the Gaussian blur is the “better” way to do it? Do you know the pros/cons of either method? Thanks! Great post! 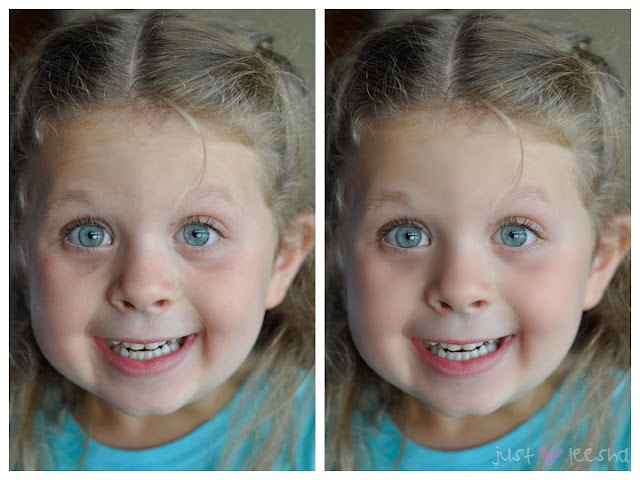 I’m looking forward to virtual makeup – I always feel like I need to turn the opacity down on skin softening with kids though. this is a great tip. thanks for sharing!